My husband’s cousin just had a baby girl. She is overjoyed about their new arrival! While I was shopping for their registry present at www.giggle.com and I found these super cute, colorful outfits called “Giggle Better Basics”. They are stylish basics for both boys and girls and come in bold, striped patterns… I always love a bold pattern! Inspired by the trendy color combinations, I decided to make a few baby bags. One would be a great present to go along with my Giggle purchase. I had zig zag fabric left over from my previous headboard project and got to work. Enthused by the colors I saw online, I made the following combinations.. 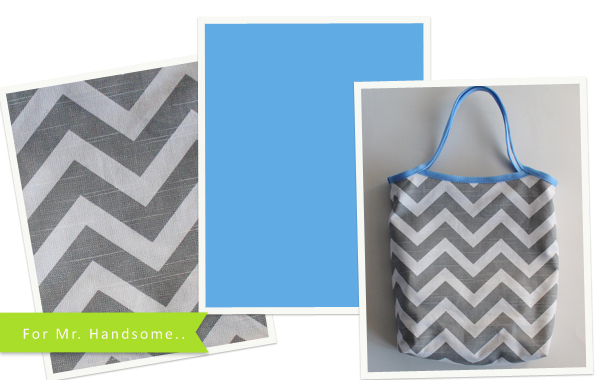 I love the grey zig zag pattern as it can be very versatile. Mix up the strap color with a yellow or green and the bag can be gender neutral for all those moms waiting to find out. I think both options are too cute to handle and can’t wait to make more as gifts. 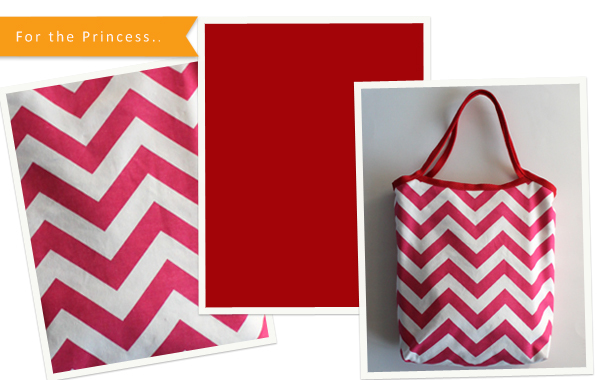 And great news — these bags, plus many more items for baby, Mom and home will soon be available for purchase on Etsy. I love these bags! They look perfect for sticking lip balm and soothers in. I will check out your store, hopefully they are for sale there.